A pretty pink and cream hand-tied bouquet featuring Roses, Carnations, spray Carnations and spray Chrysanthemums. 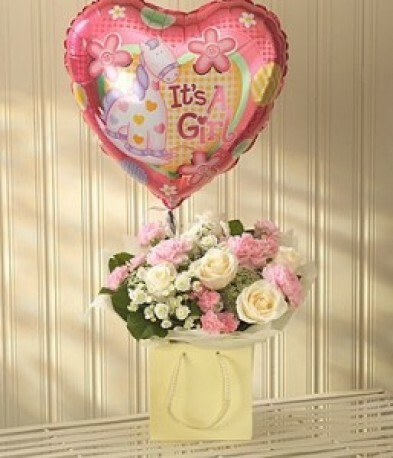 A perfect gift to welcome a baby girl. Delivered in an aqua pack presentation bag with a balloon.